Boat Description These all-welded fishin machines span 177 at the centerline and sport a remarkable 8-foot beam. 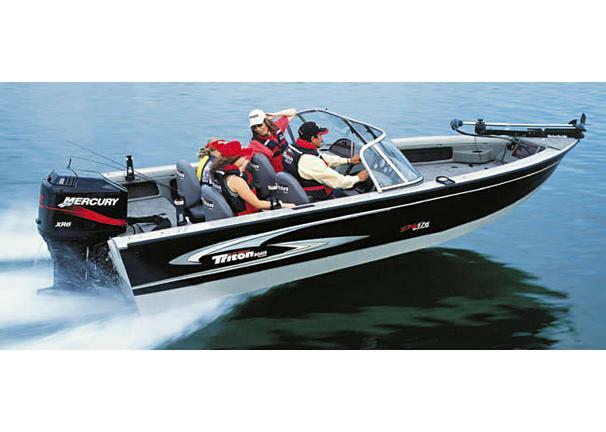 They rate for outboards to 150 and perform great with todays fuel-efficient four-stroke outboards. The Triton DV 176 DC Mag are loaded for bear (and big walleye) and come standard with virtually everything you need to succeed in big-league walleye tournament competition, including competition-sized livewell, aerated baitwell, four king-sized storage boxes and a full-featured drivers console.